By Ted Barrett, September 12, 2014 in Double Trouble! I just picked up the re-release of Revell's Mosquito from my local hobby shop. I'm not going to do anything special, just straight out of the box using the box top pictures. I'm sure they did nothing to the tooling, but did they at least change the decals/schemes for this re-release? Even just being in standard mid-grey plastic is an improvement! Looking forward to your progress Ted. I know that I have an original release Mossie, but it's buried so I coudn't tell you whether they've changed decalling options or not, although there is a very nice instrument panel decal which I will definitely use. I just got suckered into the kit after going to my friend's hobby shop and seeing that killer boxtop with the D-Day stripes (I'm a sucker for stripes). The mid grey plastic should make priming and colour coating a lot easier. 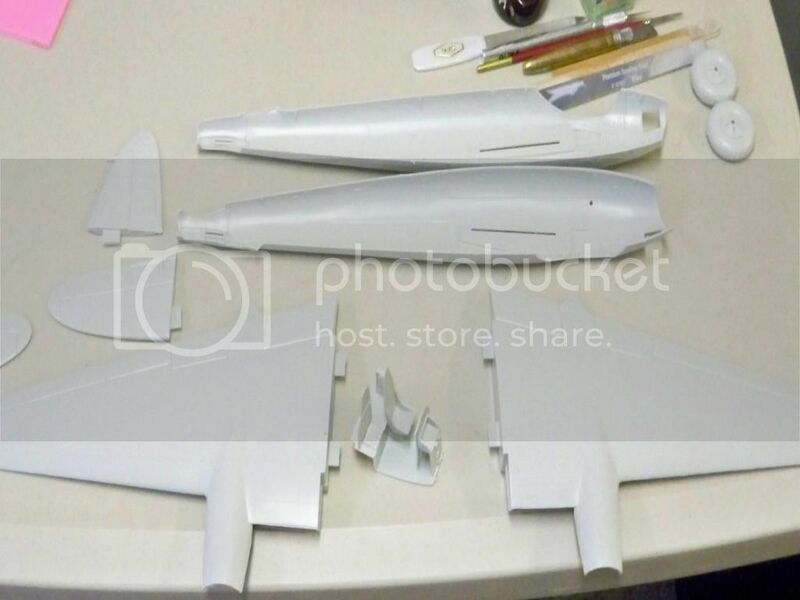 Also unlike a lot of re-pops, the wings and fuselage halves are straight which is nice. 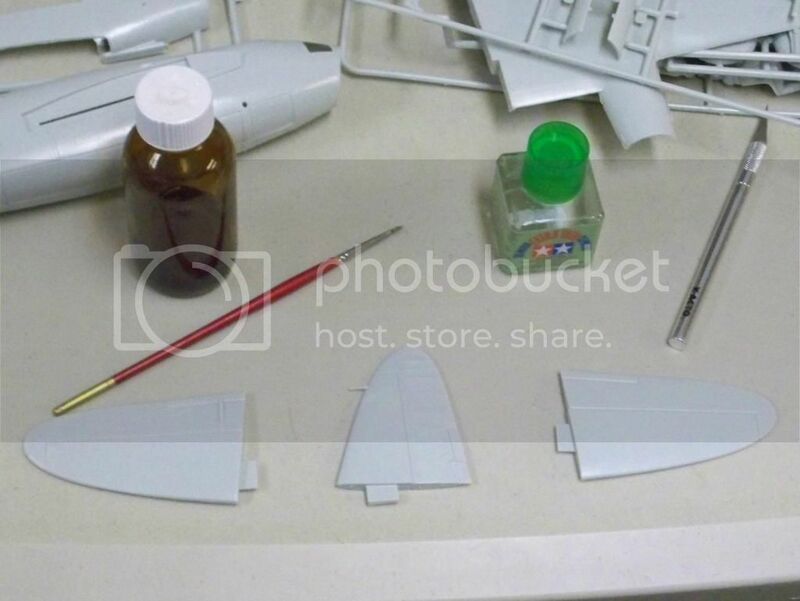 I've glued the fin and rudder together and already have two thumbprints to sand out. Yay me!! I've looked at this one so I'll follow your build with interest. Please take plenty of pics along the way so we can see how it goes together. 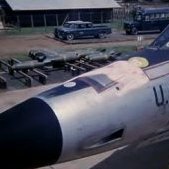 I have the Mk IV bomber H-180-380 release from '72, I believe. I know what I'm in for but I don't care; my return to modeling was birthed on a diet of old Revell and 21st Century Toys kits. 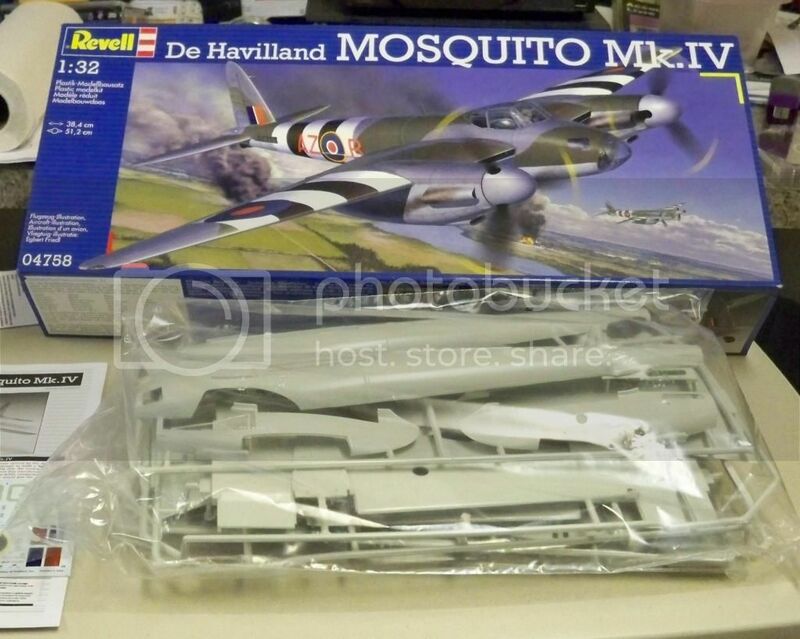 If the modern tooling Mosquitos soon on the way arrive before I get around to building it, I will certainly purchase one of those at least and use the Revell for my daughter to practice on (assuming she wasn't just farming points out of her dad by feigning interest in his little army men). The only markings in the box are for aircraft E GB (GB E? ), DZ353. Definitely watching your take on it. The markings in this re-release are A GB DZ360 with No. 105 Squadron, Marham, England, December 1942 and the one that I'm doing which is AZ B DZ353 with No. 627 Squadron, Woodhall Spa, England, June 1944 (which is on the boxtop). 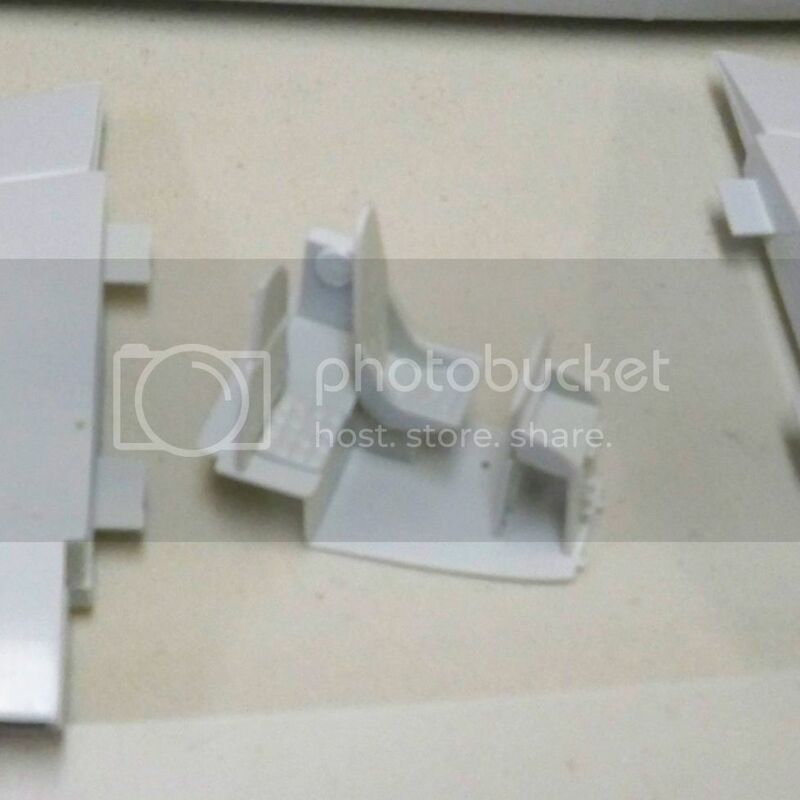 I've got the tail pieces glue together, so for geedubelyer, here's a picture. this should be a good one!!!!!! I haven't done much yet, no paint, but I have cleaned up and glued together most of the interior pieces and the wings are ready for gluing once a slop some dark grey or black in the inside of the area behind the cooler screens and put the landing lights in place. That's it for today. Dog show invoicing and back yard raking to do! Ted, All these old kits need is a little TLC and they build up pretty nicely. I have one in my stash along with a lot of these old kits and if I sold them ALL I still could not buy the Tamiya kit. While these older kits show their age compared to the new "digital" releases, over the years I've seen a number of them built up and they look quite nice. That is all I'm hoping to end up with here, is a built up model that has not chewed up a pile of money or time in resin extras and "improvements". I'm trying to get back to posting, but am failing miserably with transferring photos from photobucket to here. Ted, my first suggestion is not to use IE 11 if you are. Try Firefox or Chrome instead. Looks great so far Ted, and like it's gonna be alot of fun. I hear ya on the invasion stripes- love'm!